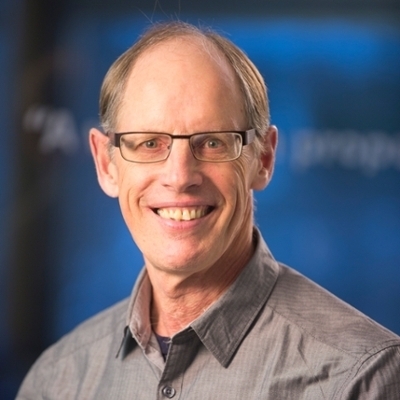 In addition to being the director and a professor at the Johnson-Shoyama Graduate School's University of Saskatchewan campus, Murray Fulton is also a Co-operative Retailing System Chair in Co-operative Governance and a Fellow in Co-operatives and Public Policy in the Centre for the Study of Co-operatives. His research and teaching interests are focused in a number of areas, including industrial organization, agricultural and rural policy, and public sector and co-operative governance. He is the co-author of a number of books and reports, including Canadian Agricultural Policy and Prairie Agriculture and Co-operatives and Canadian Society. Fulton has also written many articles and papers on industrial organization, agricultural policy, and co-operatives. One important area of research has been an examination of the changes that are occurring in agriculture and the response of organizations – including agricultural co-operatives – to these changes. His current research is focused on governance and executive compensation in the public and quasi-public sectors. He is also interested in behavioural economics and its application to business strategy and public policy formation. Download Murray Fulton's abridged CV. Murray Fulton and T. Reynolds. 2015. “The Political Economy of Food Price Volatility: The Case of Vietnam and Rice.” American Journal of Agricultural Economics 97(4): 1206-26. Murray Fulton. 2015. “Fellows Address: Agricultural Policy in the 21st Century – Economics and Politics.” Canadian Journal of Agricultural Economics 63(1): 7-18. Michael M. Atkinson and Murray Fulton. 2013. “Understanding Public Sector Ethics: Beyond Agency Theory in Canada’s Sponsorship Scandal.” International Public Management Journal 16 (3): 386-412. Murray Fulton and K. Giannakas. 2013. "The Future of Agricultural Cooperatives". Annual Review of Resource Economics. 5. Murray Fulton and K. Giannakas. 2012. "The Value of a Norm: Open Membership and the Horizon Problem in Cooperatives" Journal of Rural Cooperation. 40(2): 145-161. M.E. Fulton and K. A. Larson. 2009. The Restructuring of the Saskatchewan Wheat Pool: Overconfidence and Agency. Journal of Cooperatives Special Issue. 23:1-19. M.E. Fulton and K. Giannakas. 2007. Agency and Leadership in Cooperatives: Endogenizing Organizational Commitment. (eds) K. Karantininis and J. Nilsson. Vertical Markets and Cooperative Hierarchies: The Role of Cooperatives in the Agri-Food Industry. Heidelberg: Springer-Verlag. M.E. Fulton, P. Farnese, B. McGregor, M. Boehm and A. Weersink. 2006. Instritutional and Organizational Change: Biosphere Greenhouse Gas Management in Canadian Great Plains Agriculture. (ed) F. Brouwer and B. McCarl. Rural lands, agriculture and climate beyond 2015: Usage and management responses. Massachusetts: Kluwer Academic Publishers. M. E. Fulton, M. Boehm, H. Janzen and B. MacGregor. 2006. Biosphere Greenhouse Gas Management: Transformative Change in the Biophysical Landscape and Production Practices of Northern Great Plains Agriculture. (ed) F. Brouwer and B McCarl. Rural lands, agriculture and climate beyond 2015; Usage and management responses. Massachuesetts; Kluwer Academic Publishers. M.E. Fulton. 2005. Producer Associations: The International Experience. (eds) Bernard H. Sonntag, Jikun Huang, Scott Rozelle and John H. Skerritt. China's Agricultural and Rural Development in the Early 21st Century. Canberra: Australian Centre for International Agricultural Research.